With Apple all but certain to introduce a new, smaller iPad at its San Jose launch event next week, Google appears to have plans of its own to make its popular Nexus 7 more attractive to consumers by offering a 32GB model for 99 pence more than as its 16GB variant. Major UK retailer Argos today released its Christmas Gift Guide, detailing the gadgets it would have available to buy during the holiday period. 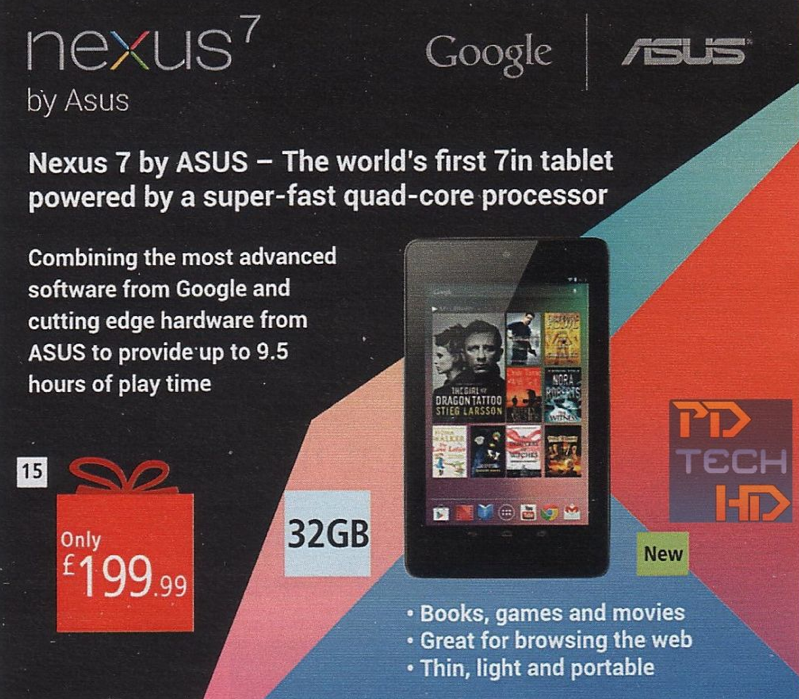 One such item is a new 32GB variant of the Nexus 7, which will retail for £199.99 — almost matching the cost of the existing 16GB model. The deal is not yet available on the Argos website, which lists the 16GB model. We put a call into Argos to enquire as to when the 32GB Nexus 7 would become available and were told that they didn’t have a dedicated launch date. However, an Argos representative did share that it was likely it would become available nearer the Christmas period. In the US, Staples Advantage (Staples’ site for business users) showed Nexus 7 placeholders with a price around the $250 mark, almost matching the $249 price tag of the current 16GB Nexus 7 model. However, the company offered an estimated availability date of October 18th. 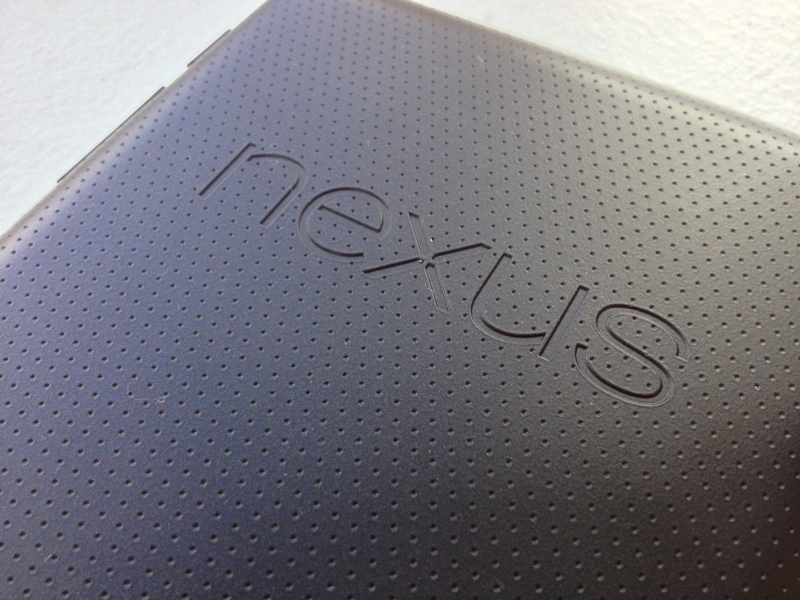 It’s not of a matter of if, but when the 32GB Nexus 7 goes on sale. If you own the 16GB model, you might be frustrated to learn of the specification boost so soon after you bought your device. Perhaps the search giant will offer another Play promotion to make it up to early adopters.